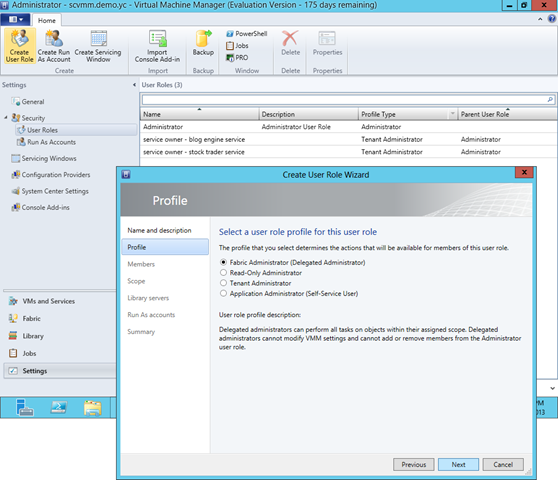 For my customer I had to set up the VMM Delegated Administrator role for their Tenant Operations team in order to gain ‘connect to console’ functionality (without providing too much additional rights in the VMM console). 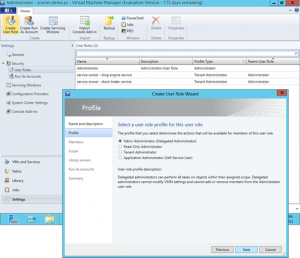 I received errors that claimed I did not have sufficient rights to perform that action and no further clues were to be found in VMM or in the server logs …. Back on Monday with fresh pair of brains, I thought about fixing it with mighty PowerShell.